SPK’s Will Aldom, Anthony Grkman, and Caleigh Wanson teamed up with Dave Briskey (Hill International, Inc.) and Jason Lewis (Benesch) to put their bridge knowledge to the test. 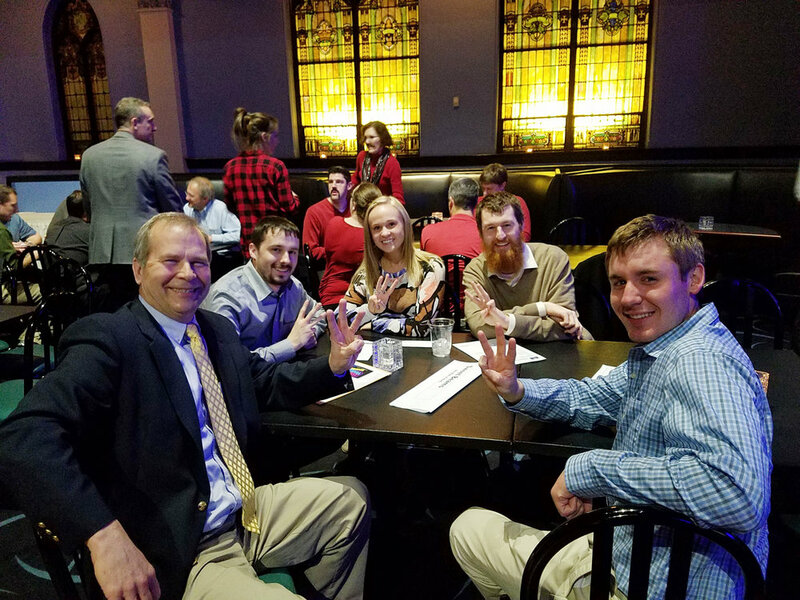 They clinched the bronze award at ABCD’s trivia night event hosted by Fisher Associates. SPK looks forward to participating in next year’s trivia night, along with ABCD’s other social events.